This bread is made totally with wheat flour. 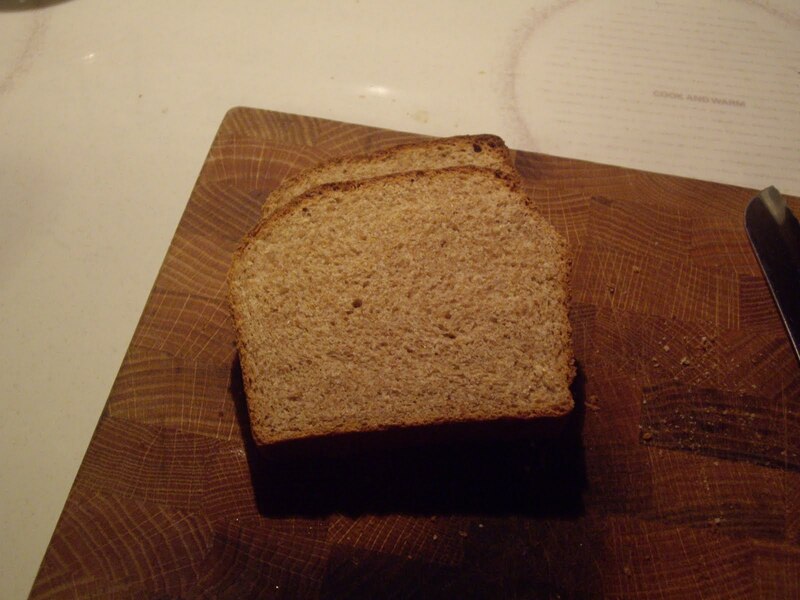 Most wheat breads have a mix of white and wheat flours. Not this one. It is also flavored with honey instead of sugar. If you thought that whole wheat flour bread dough will not rise like white flour bread dough, you will quickly realize that is not the case. In a very large mixing bowl, blend 3 cups of the flour, salt, and yeast. 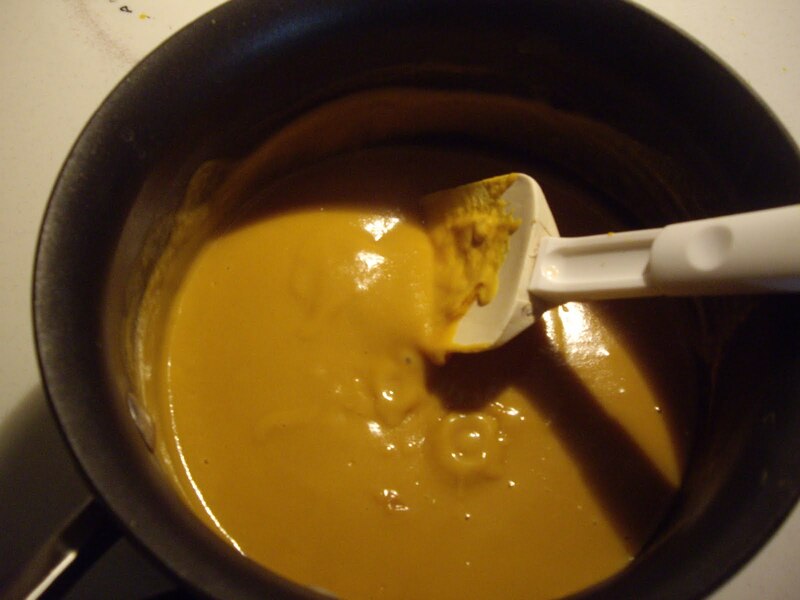 In a saucepan over low heat, combine the milk, water, honey, and butter. When the mixture is warm, gradually add it to the flour mixture in the large bowl. With a mixer, beat at medium speed for 2 minutes. Scrape down the bowl and add an additional cup of flour. Beat with the mixer at high speed for 3 minutes. Add more flour and stir in with a spoon. When too thick to stir with a spoon, mix it in with your hands until a soft mass is formed. Turn out the dough and cover it with the bowl and let rest for 10 minutes. Knead the dough, adding flour as needed if the dough seems very moist. Make sure to not add much more flour than the 10 cups called for. Knead the dough until it is smooth and elastic. This will take about 8 minutes. Wash out your large bowl and grease it. Drop the dough into it, turning over to grease it all over. Cover with plastic wrap and put in warm place until the dough has doubled in size. This will take about an hour. When the dough has risen, punch down the dough and turn it out unto your counter. Divide into three equal pieces. Shape into leaves. Cover pans with a towel and let rise until double. Bake the loaves for about 40 minutes. 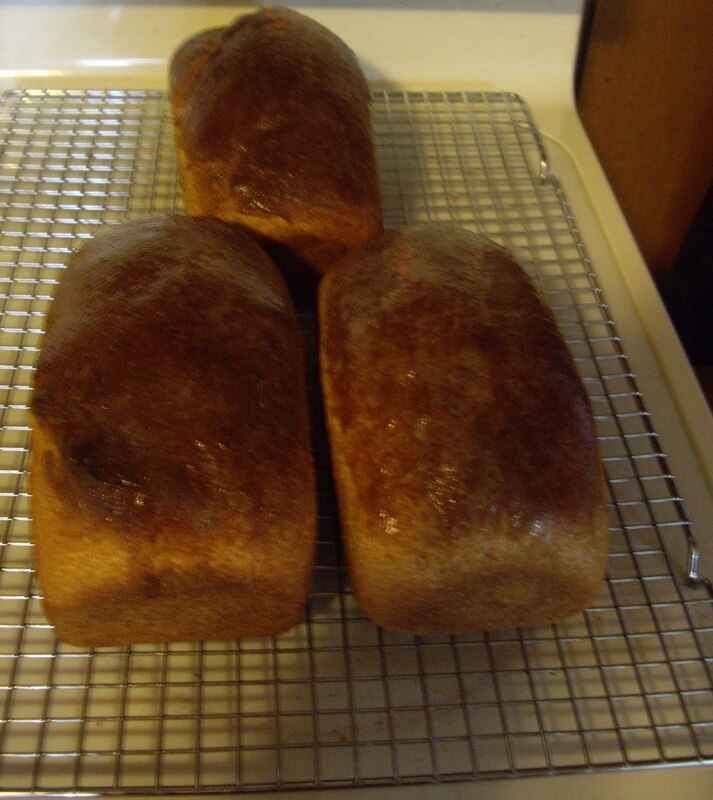 The loaves will be deep brown and when you tap them, they will have a hollow sound. Remove from the oven and turn out of pans. Brush each loaf with butter. This bread is great served with honey or even to make sandwiches. These are also great for dinner rolls. Roll some of the dough into balls and place in a greased pan. This recipe came about for a few reasons. One, I had bought mustard in bulk and had a big container of honey. Two, I realized we eat honey mustard way more often then plain mustard. Three, I read the labels on the honey mustard at the store and was amazed many brands don’t even have honey in them, but HCFS and also other kinds of sweeteners. I try to avoid high fructose corn syrup as much as possible. Combine the mustard and honey in a saucepan. Add the brown sugar if you think you need the extra sweetness. Bring to a sputtering simmer and stir occasionally for about 5 minutes. Cool slightly and pour into a glass jar. 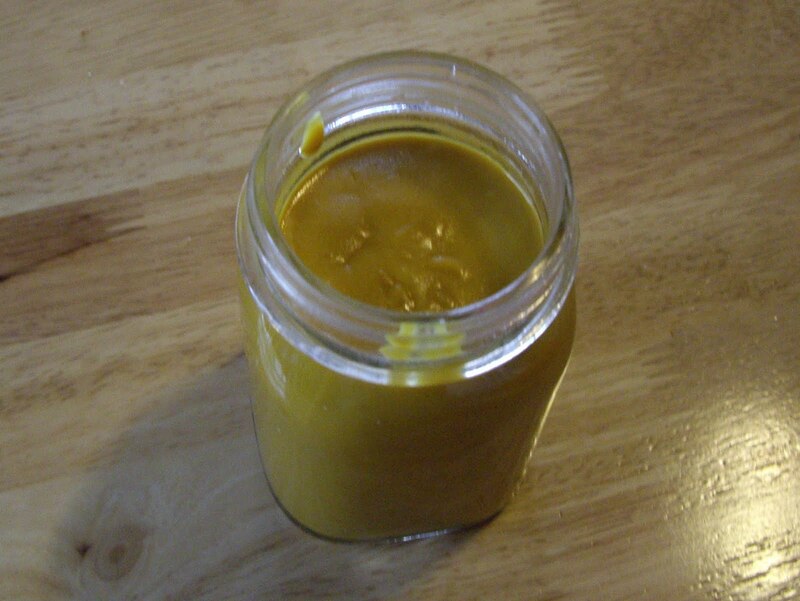 Since it thins out some as it cooks together, you will get 1-1/2 to 2 cups honey mustard.